Sen. Kamala Harris released 15 years of her tax returns Sunday, showing that she and her husband earned almost $1.9 million in 2018. Most of the adjusted gross income of $1,884,319 in 2018 reported by Harris, D-Calif., came from her husband Doug Emhoff’s earnings as a lawyer. Harris reported $157,352 in Senate salary and $320,125 in net profit from the memoir she released before announcing her campaign. The returns released Sunday covered every year that Harris, a former attorney general of California and district attorney of San Francisco, has served in elective office. 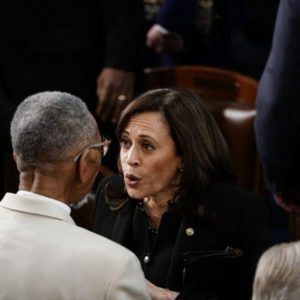 Harris’ income has been relatively consistent since she began serving as San Francisco’s top prosecutor in 2004, then as attorney general from 2011 until 2017, the year she joined the U.S. Senate. Harris joins Sens. Elizabeth Warren of Massachusetts, Kirsten Gillibrand of New York and Amy Klobuchar of Minnesota, as well as Washington Gov. Jay Inslee, in making tax returns public as part of their Democratic presidential campaigns. Warren has released 11 years of her returns, Gillibrand and Klobuchar 12. Harris’ household income places her in the upper tier of candidates who have shared their returns so far. Warren’s 2018 returns revealed roughly $900,000 in combined income for her and her husband. Gillibrand’s filing included her $167,000 Senate salary and $50,000 in book proceeds. Klobuchar released her tax returns through 2017, and reported less than $300,000 in combined income for her and her husband that year. Inslee’s 2018 return reported an adjusted gross income of $202,912. After Inslee released his tax returns, he appeared on the “Fox and Friends” morning show to urge President Donald Trump to do the same. Inslee’s calls to Trump highlight the impetus for Democratic candidates to release their returns sooner than later: Trump has bucked decades of tradition by refusing to release his returns. Sen. Bernie Sanders, I-Vt. – an outspoken critic of Trump’s secrecy on the matter – also has vowed to release his tax returns by Monday. Sen. Cory Booker of New Jersey, former congressman Beto O’Rourke of Texas and South Bend, Indiana, Mayor Pete Buttigieg have yet to release their financial documents. Warren has introduced legislation that would require candidates for president and vice president to release at least eight years of tax returns. Former Vice President Joe Biden, who is expected to join the 2020 field soon, previously released his tax returns from 1998 to 2015.